Uri Valadão explores an island paradise in the South Pacific. Images: Eric Gamez. Edit: Cicero Spinola. 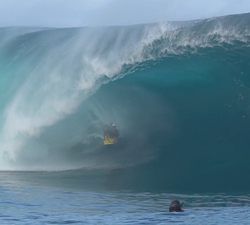 Some epic footage in Tahiti from photography master Sylvain Labeyrie (Bibby Pics), shot during 3 trips. A leftovers clip from Tahitian charger Niko Richard, shot during 2018 at various spots around his home. One minute of pure action with Tahitian aerialist Raihiti Pinard. Brought to us by JBS pictures facebook.com/jbspictures. The local Tahitians and more charging massive tropic slabs. Brought to us by Chris Kincade Photography. 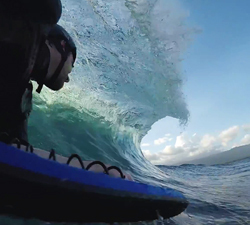 Four minutes of pure action with Tahitian charger Alvino Tupuai at home. Brought to us by Chris Kincade. 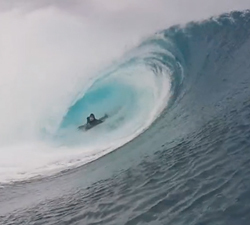 A crew of Argentinian bodyboarders recently hit up the Boog House Cook Islands resort, this clip is the result. Four minutes of perfect pits in Samoa, July 2018. Filmed by Kyle Drury, Glenn Mortimer, Jayden Shea and Aaron Kimmons.